Known for showcasing a youthful and dynamic mix of artists from around the world, Art Central is returning with 103 international galleries—30 of which are making their Art Central debut this year. With its strong regional identity, viewers can expect to see a variety of contemporary Asian art and emerging talents at the fair, which is set to open next Tuesday. Digital art and multimedia works have become more prevalent in the contemporary art scene over the years. Having been recognised for shifting the audience experience of art in the 21st century, internationally renowned multimedia and installation artist Tony Oursler will be presented at Art Central Hong Kong alongside another multi-disciplinary artist, Not Vital. 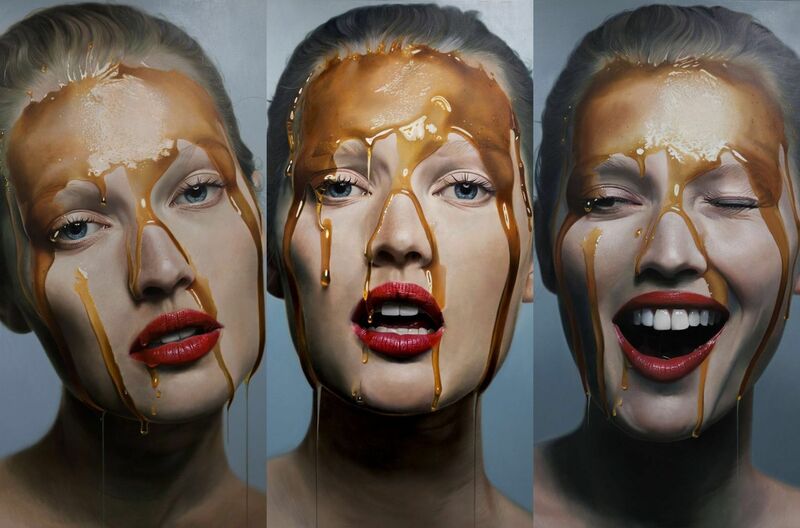 German hyperrealist painter Mike Dargas made his Asia solo debut in Hong Kong just a couple months ago. With a solid celebrity clientele despite being relatively new to the contemporary art scene, Dargas’ ultra-realistic paintings are set to be some of the most eye-catching attractions at this year’s Art Central. This year’s Art Central will see modern and contemporary art from South Korea taking centre stage. The showcase will offer historical material from Dansaekhwa figures such as Kim Tschang-Yeul. As part of the first generation of modern artists in South Korea, Kim is known for his paintings of water drops. In 2016, the Kim Tschang-Yeul Museum of Art opened in Jeju, South Korea, to honour the artist. Globally recognised for his monumental landscapes, Hiroshi Senju creates his paintings in the traditional nihonga style, using pigments made from minerals, ground stone, shell and corals suspended in animal glue. His works are in the permanent collections of The Metropolitan Museum of Art, LACMA and widely across Japanese institutions. One of Japan's most celebrated artists, some of Yayoi Kusama's most iconic pieces will be on display at Art Central Hong Kong this year. The artist, who beautifully turns her hallucinations into one-of-a-kind art pieces, learned traditional Japanese art in Kyoto, before moving to the United States in 1957 where she lived in New York for over 16 years. Her artworks have been displayed all over the world and one of her iconic pumpkin sculptures is currently on display at Harbour Arts Sculpture Park in Hong Kong. Acclaimed filmmaker and photographer Wing Shya’s “Sweet Sorrow” series will be on show at the fair this year. A photographic ode to the desolate human condition, the works serve as a technicolour lover letter to the city that raised him—Hong Kong. A collection of collaged work from the artist’s first collaboration, “Happiness”, with Wong Kar Wai, will also be exhibited. French artist Laurent Martin “Lo” and his gravity-defying bamboo installations will return to Art Central Hong Kong for the third time. A highlight piece by “Lo” is Floating Tea House (2017), a massive dome-like bamboo installation originally produced for the Wu Yuan Arts and Culture Centre in Taiwan that reflects the artist’s months-long journey along the country’s bamboo routes.